The private data of nearly half a million Google+ users was exposed to third-party developers, and Google failed to notify anyone. A bug in Google+ APIs meant that users' names, email addresses, occupations, gender and age were accessible from 2015 until Google discovered and patched the problem in March this year. Despite the data possibly having been accessed by 438 apps, Google chose not to go public about the security breach until now. And in a dramatic move, the company has announced that it is shutting down Google+ for consumers. Google has also revealed details of Project Strobe, an audit program through which it discovered the problem. The data breach was revealed by the Wall Street Journal today, and it wasn't long before Google published a detailed blog post outlining its own findings and the action it is taking. Google says that a bug in the Google+ People APIs "meant that apps also had access to Profile fields that were shared with the user, but not marked as public". 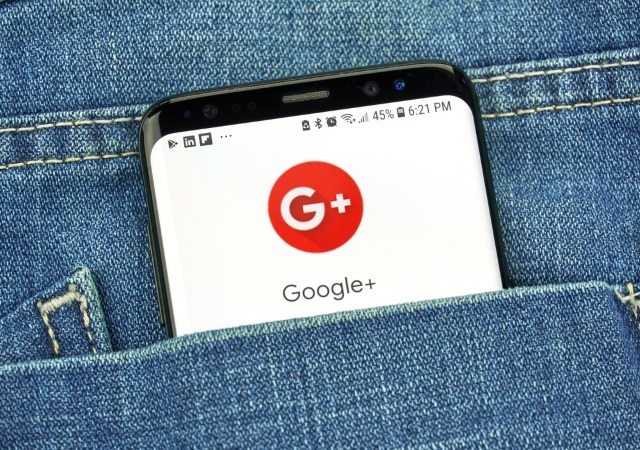 Apparently trying to play down the significance of the matter, Google says that Google+ has not proved particularly popular or successful: "it has not achieved broad consumer or developer adoption, and has seen limited user interaction with apps. The consumer version of Google+ currently has low usage and engagement: 90 percent of Google+ user sessions are less than five seconds". We have many enterprise customers who are finding great value in using Google+ within their companies. Our review showed that Google+ is better suited as an enterprise product where co-workers can engage in internal discussions on a secure corporate social network. Enterprise customers can set common access rules, and use central controls, for their entire organization. We've decided to focus on our enterprise efforts and will be launching new features purpose-built for businesses. Instead of seeing all requested permissions in a single screen, apps will have to show you each requested permission, one at a time, within its own dialog box. For example, if a developer requests access to both calendar entries and Drive documents, you will be able to choose to share one but not the other. Secondly, access to the Gmail API is going to be limited to only those apps that directly enhance email functionality. New data-handling rules will be introduced and -- like for Chrome extensions -- more rigorous security assessment will be carried out. Some Android apps ask for permission to access a user's phone (including call logs) and SMS data. Going forward, Google Play will limit which apps are allowed to ask for these permissions. Only an app that you’ve selected as your default app for making calls or text messages will be able to make these requests. (There are some exceptions—e.g., voicemail and backup apps.) Developers can find more details in the Google Play Developer Policy Center and in the Help Center. Additionally, as part of the Android Contacts permission, we had provided basic interaction data so, for example, a messaging app could show you your most recent contacts. We will remove access to contact interaction data from the Android Contacts API within the next few months.